Feral Interactive plans to release Batman: Arkham City on the Mac in November. The open-world action-adventure game was first released in October 2011 on consoles, and a month later on Windows. Feral is bringing the "Game of the Year" edition to the Mac, bundling all released downloadable content for the game into the release. 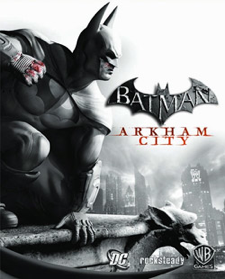 Arkham City is a vast, open world, gothic metropolis hiding a deep assortment of side missions, secrets and puzzles that Batman will need all of his skills and gadgets to discover and solve. Along the way, players will use Batman's signature Free FlowTM combat system to square off against countless thugs and a nightmarish rogue's gallery including The Joker, The Riddler, Two-Face, Harley Quinn, The Penguin and Mr. Freeze. Feral will announce pricing and system requirements closer to the final release date. I hope the controls aren't the same consoley crap as in Arkham Asylum. It was a great game though, but the consolitus should be banned from games with such great atmosphere, details and humor. The controls on PC via the 360 controller are amazing. I know it's not cool enough for you, because you probably are a wing commander veteran with patches on his shoulders and also have a proven Giana Sisters C64 runthrough record. But anyway - the game plays fantastic with the xbox360 controller on PC, it pretty much beats any conventional PC input method. No, I mean it... when I played that game, I truly felt like the Bat at some moments... I kind of lost the fact that I was crouched on the couch in front the the TV. This game is destined for a controller, I don't see how it possibly could affect your 1337 keyboard and mouse wielding highness, that this game was developed for consoles and PC? I'm still waiting for a sale on OnLive to pick it up... Loved the original. Is it just me, or have an enormous number of games been coming to Macs recently? It isn't just you. As the mac's market share goes up, we'll start to see even more games. Mac gaming has come a long way. All we need now is a gaming Mac.